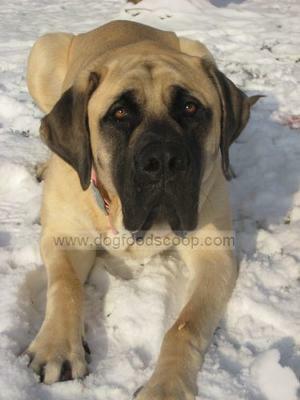 Valentine is an English Mastiff. She is one and a half years old. English Mastiff's are awesome! Valentine you go girl! Our votes goes to the friendly giant. What a sweet little baby face she has !! The perfect 140lb lap dog !! Great Dog I Love this Dog you could not ask for a better dog then val she is an awesome dog!!!! Prettiest dog in the contest...no question! Valentine gets my vote because she protects her mother, Lisa from intruders. She is a giant ball of fun and love. Beautiful dog. 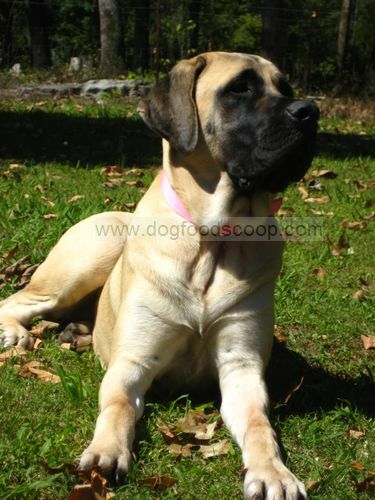 Valentine is the cutest English Mastiff I've ever seen. And I hear she is very good at protecting her mom from intruders. Go Val! I vote for you!!! I think Val is the cutest English Mastiff I have ever seen. She should win this contest hands down!!! This is my little girl. she is 130 lbs and the love of my life! Absolutely the sweetest, friendliest dog I have ever known. I just love her to pieces!!! I vote for Valentine as inside that wonderfully large body is an angel. Look into those eyes. What a cuddlebug she seems to be. Val is beautiful, muscular, obedient, well behaved. This dog makes a great presentation ! I've known dogs all my life and this dog is truly a beauty! 5 paws for Val!! I vote for that beautiful Val the Mastiff, from Trenton Ga. Perfect muscle tone and coloring. A must see!! !